The weather turned warm and - it feels like all of a sudden - our little garden has exploded with more fruits and veggies than we can imagine consuming on our own. I love giving (and receiving!) homegrown goodies, and folding baskets out of paper grocery bags makes for a sturdy, cute and easy way of sharing produce with friends and neighbors. 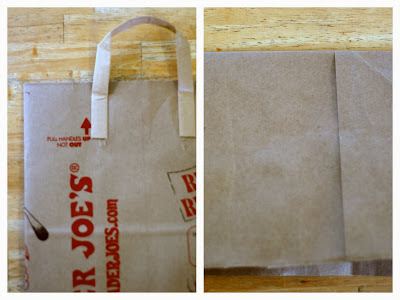 Step 1: Cut out the front or back panel from a paper grocery bag. 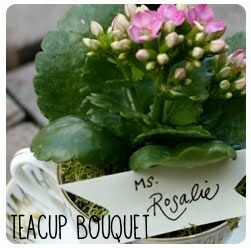 (If you want a bigger basket, include the side panels in your cut.) Carefully remove any handles. 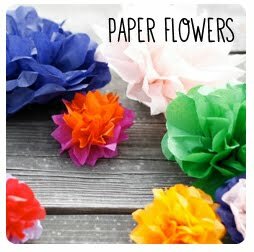 Step 2: Cut your paper rectangle into a square. Then, make two intersecting creases by folding the square in half across the length and then across the width. Step 3: Using those creases as a guide, fold in each corner so points meet in the middle. 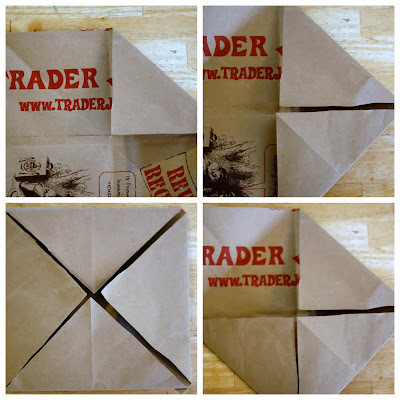 Step 5: Unfold nearly everything so that you have your original square, with just the left and right corners folded in to the center. Step 6: Using the creases as a guide, fold the left and right sides up, creating two sides of your basket. Step 7: This part is a little tricky. Where the left side of the basket meets the top flap, there should be a V-shaped crease. 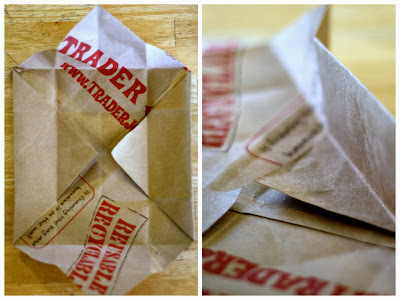 Fold that crease in toward the center of the basket. Then repeat on the right side. Doing so will lift the top flap. 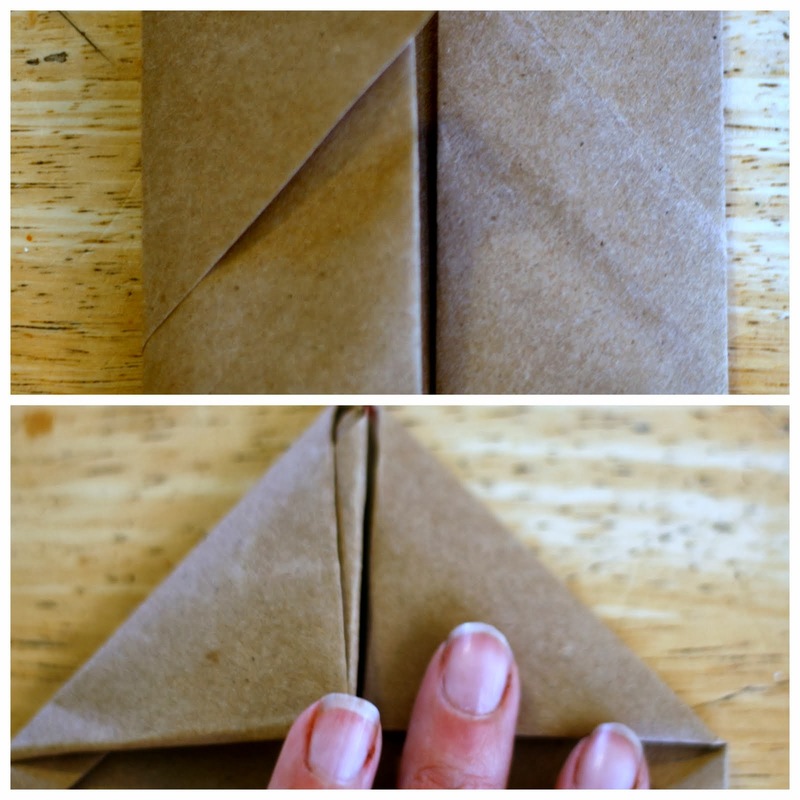 Fold the flap back down over the V-shaped creases, creating a third side. Step 8: Repeat on the bottom for the fourth side, and you're done! 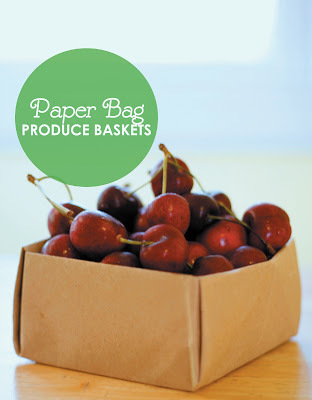 (Or you could fold a second basket so that you have top and bottom pieces to contain your fruit). A standard T.J.'s bag gave me a 4-and-a-half-inch basket. 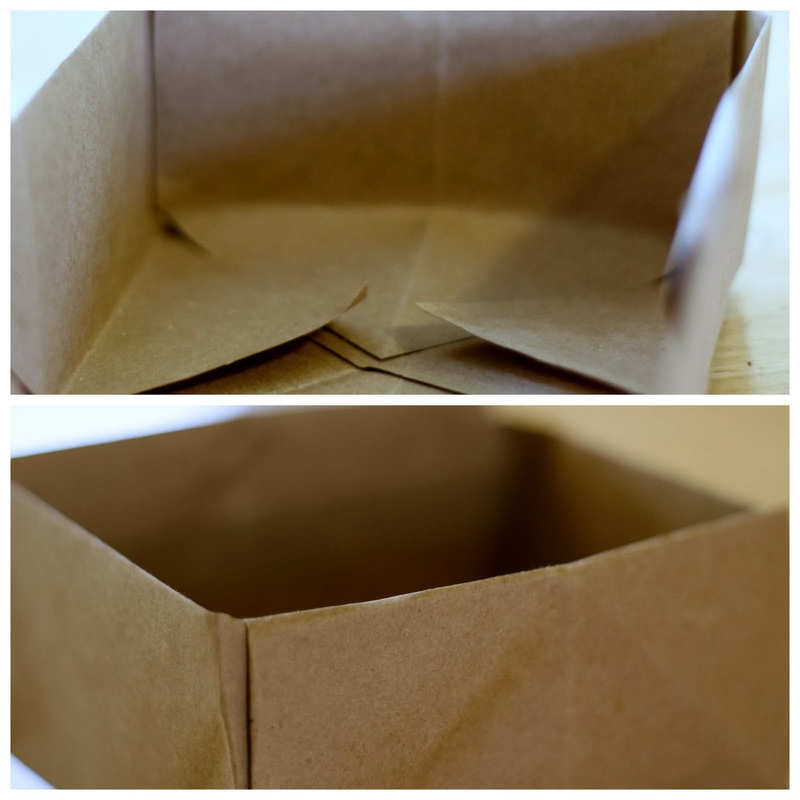 For a bigger basket, start with larger rectangle.